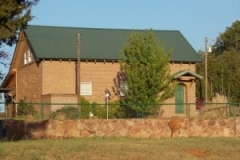 “Spring Dell School was built in 1936 as a WPA project at a cost of $4,000. It served as a school until 1976 when the district was annexed by Chandler, Meeker and White Rock districts. A plaque on the building reads: “Spring Dell District 75 / 1936 / WPA Project 980″. 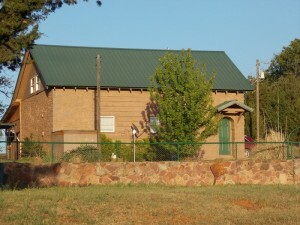 This is a native stone one-room school house, which has exposed rafters and a gable roof. The stone has been painted an earth tone. The typical WPA ribbon windows which consisted of a set of five nine-over-nine wood windows have been infilled with weatherboarding, leaving very small two-pane windows. There are two single entrance doors. The entrance at the back (east) has a shed canopy, while the main entrance on the west has a gable entry roof. 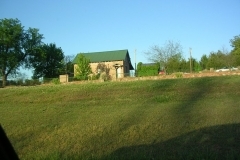 South of the building are the original stone well house and a storm cellar. 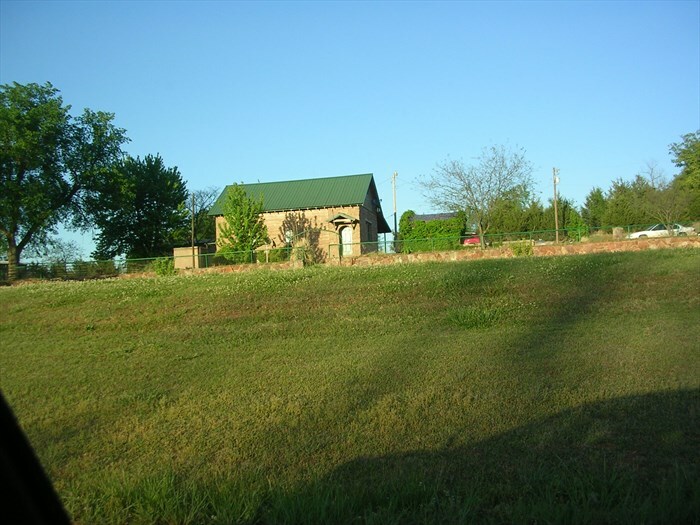 A native stone retaining wall runs along the west side of the property. 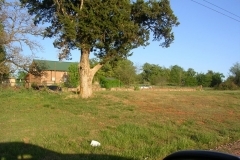 The school building is currently occupied as a residence and access could not be gained to the property, and can be seen only from a distance. 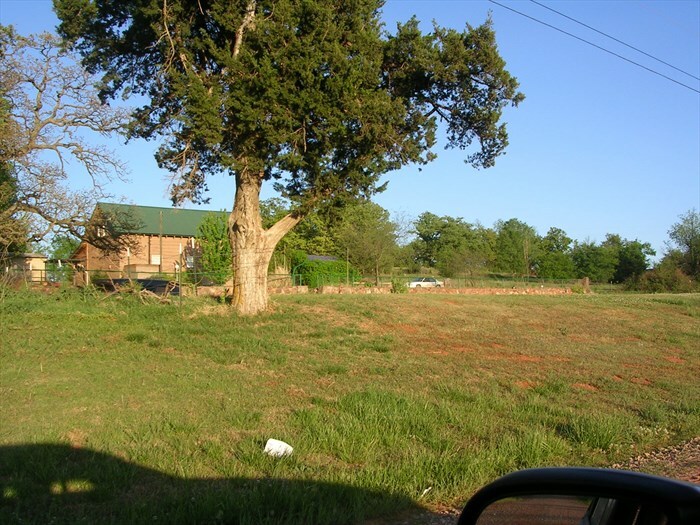 According to the NRHP report, the school building is now a private residence.